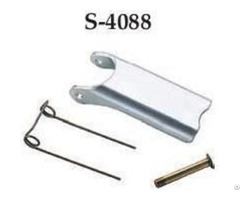 For use where hoisting line or shackle can be inserted into the bail. Suitable for in frequent, non continuous rotation under load. Hook sizes:1 through 14. 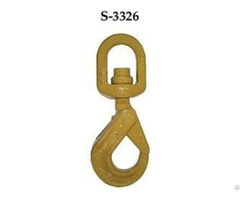 Crosby SHANK - TYPE HOOK: (Standard Length) For use on existing load blocks, with standard shank length. Hook sizes: 2 through 14. 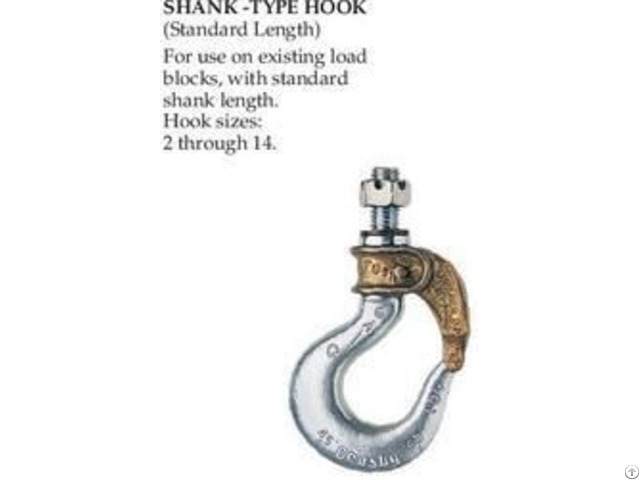 Crosby SHANK -TYPE HOOK: (Long Length) For use on existing load blocks requiring extra shank length. Hook sizes : 4 through 17. 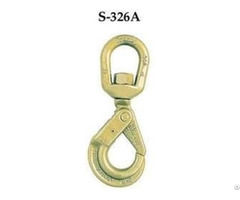 Crosby UNIVERSAL TYPE : Open swivel bail for attachment to link chain. Suitable for infrequent, non continuous rotation under load .Hook sizes : 3, 4 and 5. Crosby LINK CHAIN NEST: With ball-bearing swivel; attaches to chain by an alloy pin. Suitable for frequent rotation under load. Hook sizes : 4, 5 and 7. Crosby ROLLER CHAIN NEST : Attachment with ball-bearing swivel and full-floating connector. Suitable for frequent rotation under load. Hook sizes : 4, 5 and 6.